Each month we update home sales statistics on our website, and results for February are now available. According to data provided by the Maine Real Estate Information System (MREIS), across the state of Maine 1,164 single family homes were sold in the first two months of 2012 compared 1,032 in a similar period in 2011. Unit sales were down as was the median selling price of $151,250 in 2012 vs $159,900 in 2011. In Cumberland County single family homes sales were better in 2012 vs 2011 as 283 sales were completed representing an increase of 2.5%. The median price was lower, however, at $215,000 in 2012 vs $215,000. Often, however, these changes in median price are a result of changes in the mix of homes sold in any given month. Reviewing pricing over a longer period of time is much more insightful. As inventory remains high competition among sellers is very intense, as evidenced by discounting from original list prices. 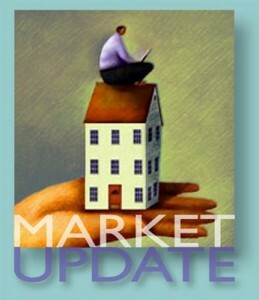 During the first two months of 2012 homes sold at only 92.2% of list price. In York County units sales were up significantly as 204 homes were sold vs 155 in 2011, representing an increase of 31.6%. On a monthly basis we track several local southern Maine communities. You can view homes real estate sales statistics for the following towns and cities: Portland, South Portland, Falmouth, Scarborough, Cape Elizabeth, Cumberland, Yarmouth and Old Orchard Beach. Each report includes sales for single family homes and condos, comparisons to prior year, current inventory and other key statistics. If you need specialized data or reports, just let us know. We can create customized information that should meet your needs.